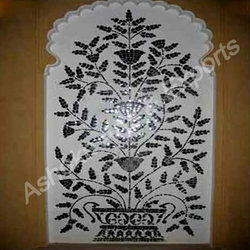 We are engaged in offering glass work on wall, lattice work with glass and mirror panel. Intricately carved and designed by our team of creative professionals, these exhibit true workmanship and perfect finish. These are long lasting and resistant to scratches and thus are demanded across the globe. We also meet customized requirement for our clients benefit. 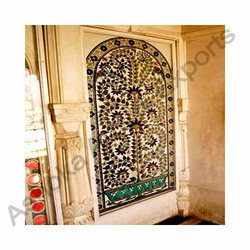 To meet the requirements of the interior decoration, our company developed mirror panels. These mirror panels are of high in strength, light in weight, easy to process, install, maintain and clean, our range is appreciated across the globe. We also meet customized requirement for our clients benefit. 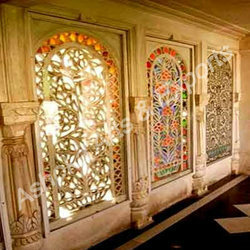 Our range of Lattice Work with Glass exhibits true workmanship and perfect finish. Crafted using quality material our range is reckoned for exclusive designs, and vivacious color combinations by our clients spread worldwide. We also meet customized requirement. Looking for Glass Work ?